It’s the peak of the season, have you started your Winter Stores? Peak of the season means deals are everywhere at the farmers market. There is an abundance of fruits and vegetables and prices are dropping. You can get great deals on buckets and boxes of tomatoes and strawberries, watermelons, peaches, plums, cantaloupes, etc. But, what to do with all of them? The time-tested, ancient answer is to turn them into winter stores. Jam, can, and preserve. Or, if you prefer to be more modern, freeze them. Freezing is my preferred method because it is so darn easy. The recipe is simple: cut it into squares, put it in container and freeze it. I’ve done this with anything you can imagine and everything has turned out fine. The other option is to jam and preserve. This is an ancient method for the era before freezers. For most of us, freezer space is still limited and we have to preserve. This method allows food to last for months in a closet. 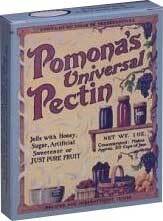 My recommended recipe comes from Pomona’s Universal Pectin, which is also my recommended brand of pectin because it is sugar-free and preservative-free (uses honey). You can order it online or find it (or something similar) in your natural foods store. Here is a link to the recipes. Next, your probably wondering what to do with all this stuff. Here’s what I do. First, cash in on the abundant tomatoes because there is so much to do with them. Over the next 12 months I make pizza, marinara sauce, salsa, and any number of soups, including plain-old tomato soup. Second, I turn my fruit into amazing smoothies. Since I use the freezer method, I have a diverse assortment of fruit ready-cut into squares for smoothie-making. How about you, do you have any special recipes for your winter stores? If you want to live a low-carbon lifestyle then winter stores is definitely the way to go. Not only is it an essential part of the all-farmers market diet, but it also reduces the need to buy high-mileage fruit in the winter. During those winter months, any fruit you buy most likely flew in on a plane from halfway around the world. You can avoid this problem by buying dirt-cheap now, saving it for the winter, and absolutely delighting in high-quality (guilt-free) watermelon, blueberry, or strawberry in the heart of February.